What Do We Choose Now? During my recent trip to Florida I stopped to see the Kennedy Space Center for the fourth time. The first three of my tours the NASA center was engaged in our manned exploration of space with either the Apollo Moon missions or the Space Shuttle. One could the feel the excitement as tour guides discussed upcoming manned missions to space and what we could expect from them. This last trip there was a different feel about the place. It was like an old, washed-up athlete sitting around telling stories of his or he past glorious accomplishments because there was nothing else the athlete could talk about. During the tour, every stop was someplace that once had importance during the manned missions into space. Now that there are no more American human spaceflights in the foreseeable future, these buildings had a snackbar and a giftshop stuck on the ends and became tour stops. The giftshops had all kinds of memorabilia about the Mercury, Gemini, Apollo, and Space Shuttle missions. In fact the Space Shuttle was called "The Pride of America." I guess calling the now seemingly ancient Apollo Moon missions the pride of America would be too much to stomach even if I thought those were more exciting than a "flying truck." The biggest thing discussed was the addition of the retired Space Shuttle Atlantis, a reusable rocket to launch satellites into space, and a new vehicle to explore Mars. These are all good things but it does not bring to me the excitement that sending humans back to the Moon or to Mars would bring. When I was growing up, the astronauts were real-life heros to me. I would follow each mission on television with great interest. Other people followed the manned space missions because we were in a competition with the Soviet Union to see who could get to the Moon first. Later, I would tell my history students that our race to the Moon proved to ourselves and the rest of the world that again Americans could accomplish anything it sets its collective mind to. One day we woke up and decided to go to the Moon and actually did it in about eight years. It was this same determination to do something that scared the Soviet Union into spending itself out of existence when President Ronald Reagan proposed a missel defense system to do the unthinkable, make a nuclear war winnable. Could such a system be built? Who knows but based on past history the Soviets could not take that chance and started spending money on defense and neglecting the needs of its people to the point it could not sustain itself and collapsed. We need a national goal such as going to Mars to inspire today's students to take up challenges that have always defined America in the past. One of my favorite science fiction movies is The Last Starfighter. The story is about Alex, a teenaged video game wizard, who beats all the levels of the game "Starfighter" which pits the player in a simulated war against an evil empire. Little does Alex know that the game is actually a recruiting tool for an alien society needing warriors to repel a real invasion by an evil intergalactic empire. Our Earthling hero must use all of the skills he learned playing the video game to save the galaxy from tyranny. Game-based learning is one of the hottest topics in envisioning the future of education. Many of the skills needed to be successful in video games such as learning new skills, figuring out solutions to situations, and teamwork are considered vital skills in the 21st Century. It would only be a matter of time when a game would come out that would serve as a recruiting tool and it finally happened. Surprisingly, it is not from the military. The game is the iPad app "Pizza Hero" and is published by Domino's Pizza. The player needs to create pizza with speed and accuracy to achieve the maximum amount of points. There is also a link to order your creation online when the game makes you hungry for that pizza you are slaving away to create. However, the aspect of the game I found most compelling is that if you demonstrate a high enough level in the game you may be invited to apply as a pizza maker at your local Domino's. At least that is what the game description in iTunes claims. I may never get to know if I have what it takes to become one of the elite Domino's pizza makers. So far it takes me too long to create a sad looking pie and the manager yells at me so much that I may quit if I don't get fired first. Making virtual pizzas aside, this game is an interesting marketing ploy by Domino's. I am sure they hope people will get hungry for a pizza as they are tapping on those pepperoni and they will also tap on the order now button as well. Those people who are still out of work might also be playing this game as a desperate means to find employment. I am not sure how serious Domino's is about hiring pizza makers through their game but it would be cruel if they don't hire a few at least. This is not the first gimmick to use creative ways for companies to find employment. 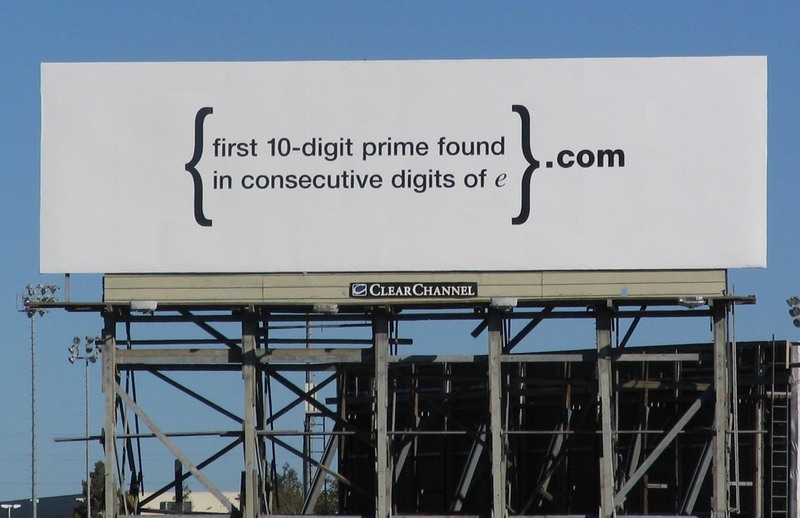 Once upon a time, Google secretly used a billboard with a complex mathematical formula to find potential engineers. If "Pizza Hero" proves to be a success in both selling pizzas and recruiting quality employees then I am sure other companies will also start using games to help screen potential employees. Our society is rapidly getting to the point where potential workers will need to demonstrate a skill to be hired and one skill I don't see a need for is filling in bubble sheets. For years, many in the EdTech community have been wishing for the day when students would come to school with a digital device that would serve as textbook, notebook, research tool, and homework folder all rolled up into one small, lightweight package. With Apple's recent eTextbook announcement along with (surprise, surprise) President Obama's call for students in the United States to use digital textbooks in the next five years you would think the day of jubilee has come. However, instead of shouts of joy, I seem to be seeing complaints about this move to the digital student. The funny thing is many of the arguments are the ones I used to hear from teachers who did not want to embrace technology at all. The complaints I am hearing are the likes of the Adobe PDF format is too hard to work with or iPads and the necessary accessories will cost too much. One argument I can agree with partially is do we really need textbooks at all? It seems to me the attitude is that unless every student can take part in the new educational digital revolution then forget it, we won't play. What are people thinking? Steve Jobs was going to leave an iPad to every student in his will? This is the type of thinking that hampers education to begin with. Why don't we outlaw new safety features on cars until every car has them instead of seeing them on luxury cars first? Because we know these features will eventually come down to the masses as standard features eventually if they work. We should not act surprised about this digital education revolution either. If you read Steve Jobs' biography you got a clear warning that education was one of the next things Jobs wanted to reinvent. Actually, Jobs has been talking about this for many years but the pieces have now come into place. Okay, we know there are not that many interactive textbooks, iPads in the hands of students, teachers trained to take advantage of these advances, and school districts that have the infrastructure to handle the rush of mobile devices. Well new content will start flowing with iBook Author. Also, there will be other products that will do the same thing for other platforms by the end of the year. As far as getting iPads into the hands of students, I am willing to predict that the iPad 3 will be the top of the line device but Apple will still sell iPad 2's at a cheaper cost. Apple is still selling iPhone 3GS's and iPhone 4's and they are plenty serviceable. Google and the Android supporters will not go sit in the corner and sulk? They should have something out before the end of the year if they wish to compete with Apple. Remember too that five years in the tech world can see many changes. Teachers have been warned for years this day would come so if they are not ready, it is probably their fault and they better start cramming. The new digital tools will change the way teaching in the classroom is carried out. 20th Century practices will not work in 21st Century tools. Likewise, districts should have seen this coming too. Some have taken steps to welcome the new technologies but I am sure the recent announcements also caught many unprepared. Do we really need to continue investing in interactive whiteboards? There it is, the time is at hand to put up or shut up. When I was stationed in West Germany during my Army days, the idea of a divided Germany was a given fact even though West German propaganda talked about reunification. When I left West Germany in 1988, everyone (including myself) thought the East-West border would continue to divide Germany for many years to come. However, within two years the Berlin Wall was down and Germany was reunified surprising many people (again including myself) that it actually happened. Well the wall between old and new, analog and digital, paper and eReader has been torn down. It is now time for us to quickly gather our wits and forge the new future we have dreamed about but did not expect to happen. Like Matthew Sobol, the protagonist in Daniel Suarez's book Daemon, Steve Jobs has come back from the dead to attempt to redefine society. Those who read Jobs' biography know the two areas Steve Jobs wanted to change was television and school textbooks. Well like how the ghosts of Christmas past, present, and future changed Ebenezer Scrooge, the first Ghost of Steve Jobs wants to change a stodgy and stuck-in-the-past education with the release of iBooks 2, iBook Author, and the iTunes U app. Whether Jobs' specter will make a positive change remains to be seen. The most intriguing of Apple's recent releases is iBook Author. This is a free application for Macs which allows anyone to create a multimedia rich book. The primary target is teachers who wish to create their own textbooks that would help their students. Now all those teachers I know who do not like to share their curriculum unless someone pays for it have an outlet to share their great secrets to turn students into super learners at up to $15 a pop. However, I can't wait to see teachers who have embraced the flipped style classroom and teachers who have their students create a book as a review project start having their work popup in the iBooks store. This is a great creative outlet for both teachers and students alike looking for ways to share or celebrate learning. This could be a money maker for schools because students can contribute to a virtual yearbook that actually relives memories and they don't have to work with yearbook publishers. I would like students to become editors of a class companion or textbook and produce updates to a review book during the school year. The only downfall is it currently works with the iPad but I am sure that will change and other other programs will come along that will cover Kindle and other eReaders. Tech News Today said Apple's education announcement could eliminate schools. While this was an attention getting headline for the show, the iTunes U app could have an impact on schools. I have often told teachers that iTunes U was one of the best kept secrets of education. Where else can one see lectures from universities around the world with the prestige of Harvard, Stanford, and Duke. It now looks like Apple wants iTunes U to become a place where students can retrieve course materials such as syllabi, lectures, and other course materials. While this is an interesting first step to make class materials easier to get on an iOS device, the lack of interactivity will not see iTunes U replacing classroom management systems such as Blackboard, Edmodo, or Schoology. Like other Apple products, the introduction of iBooks 2, iBook Author, and the iTunes U app are not something never before seen products but are meant to make creating mobile online class content easier to do providing you are on the Apple ecosystem. However, you can bet others will be coming out with similar tools to support Android, ePub (Apple claims to support this but iBooks Author is hazy on this), and Kindle (is it real Android?). Hopefully, like Scrooge's transformation, this offering from Steve Jobs' ghost will transform schools to be more welcoming to mobile devices in the present and future than they have in the past. The other day in my Computer Tech 7 class, I was walking around monitoring students as they were working on their final assignments and making up missed work. I spied one students doing the tell tale signs of hiding something. When I asked what he was hiding he said nothing, usual first response. When I pressed him further, he said it was a lollipop which he knew was a big no-no in my class. When he went to throw away the offending item I noticed nothing went into the trash can which is another student trick. When I pressed him about not noticing anything resembling the item he was trying to hide go into the trash can he finally and sheepishly gave up the offending item. It was an iPod Touch. He took a moment to look at his device as if he was saying goodbye to good friend which I am sure is what he thought was going on. In most cases saying goodbye would be the appropriate sentiment. However, I wanted him to started thinking of his iPod as a tool as well as a toy. When he surrendered the iPod Touch, I took a look at the apps he had on the device. Not surprisingly it was full of games. To this student, and I am sure he is not the only one, this was a toy. I went back to my desk and pulled out my iPhone and started jotting down the name of some apps that would be beneficial in any class and made sure they were free ones. When I finished the list I called the student over. I told him that I had a homework assignment for him. He was to download all the apps that I had on my list, which I gave him. I further told him that I would check his iPod Touch the next time he came to class and better have the apps on the list on his device. I explained what the apps would do and even showed him a demo of a couple of them. The class had fun with Action Movie by Bad Robot Interactive. This is one where you can create a movie clip with a special effect added in. Then you can insert the action clip into a larger video project. The students loved being blown up by incoming missiles or blown to Oz by a tornado. I am sure this app got downloaded many times because I saw students writing down the name of the app. Years ago, I read in the book "So Where's My Apple" that sometimes you have just watch the dump trucks. So I guess you have to take time out to launch virtual air strikes on students so they can have fun. I must admit it can be therapeutic for the teacher too. Here is a copy of the list I gave to the student with the iPod Touch. They are all iOS and can be found on the iTunes App Store. I will note down apps that I know are also on Android but search if I don't. Edmodo: new updates allow students to do homework on mobile devices. There is an Android version too. EasyBib: This site and app makes creating bibliographies a snap. Just scan a barcode or type in the title of a book for a citation. They just created an Android version too. Merriam-Webster Dictionary (Free Version) or Dictionary.com: Who does not need a handy dictionary? Also on Android. Tell those kids to look that word up themselves. Blogger, Tumblr, and Posterous: All are blogging apps and all have Android apps too. Genius Scan: Okay, I know that it is not cool to create copies of tests but classroom management will have to take care of that one. However, being able to scan documents can be helpful to students too as well as saving paper costs. There are similar apps for Android. 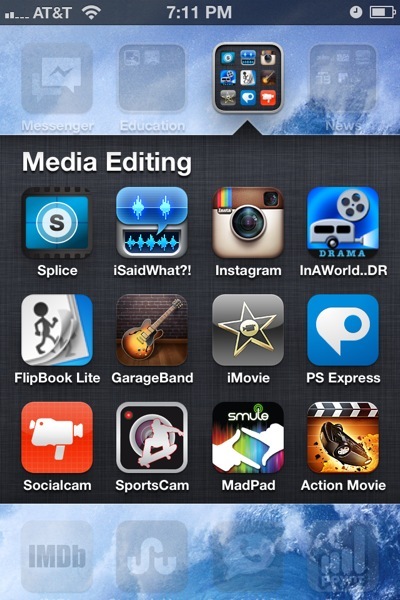 Splice (free version): A decent video editor that some say is better than iMovie for iOS. PS Express: A nice photo editor. There are many other good ones for both iOS and Android too. Red Laser: If you or your school does anything with QR Codes then this is a must have app. There are similar apps for Android. If you know of any other good apps to share with students please share them in the comments. This year I have been using tablets in and out of my classroom for a variety of tasks and I have loved the experience. I have been switching between my Acer Iconia A500 Android tablet and the Apple iPad 2 received for winning the TIP's award. Saving time when it comes to grade reporting has to be the biggest reason for using a tablet alone. I loaded Splashtop on both tablets I use along with my laptop. A few taps on the screen I have my laptop's screen on my tablet screen. This allows me to enter grades in both Edmodo and our Power School gradebook as I check student work during class, a huge timesaver. Also, I can pull up the e-book we use for learning Scratch programming and can go over questions students have which is also nice. Needless to say, I plan on making more use of using tablets in my classes and other teaching duties. It is the mobile life for me! Read school email but not reply (it is forwarded to a Gmail account I created when I was a tech coach). Show a presentation using either Quick Office, Keynote, or Splashtop and either an HDMI cable, VGA adapter, or WiFi connection. Communicate with students and other teachers via Edmodo. While the Android and iPhone apps are nice the iPad app is the full Internet version. I wish the Tablet app would do this too. Write reports, memos, or other documents with Quick Office. Just don't expect forms to come out the same way. Shoot and edit videos with iMovie or Slice. Blog and share pictures with my students, parents, or teachers using Blogger or the Squarespace apps for iOS and Android (glad this one is available). Take notes in meetings with Evernote. Run a quiz or do exit tickets with Socrative. Surf the Internet for lesson ideas although it is limited due to access restrictions. Share videos downloaded from YouTube or Streamline. Grade student work with Edmodo and/or Splashtop. Confer with other Education Professionals with Twitter, Google+, and/Edmodo. Quickly divide the class into teams with Team Picker (iOS) or Random Student (Android). There are probably many more things but I just can't think of them right now but feel free to leave a comment to share how you use your phone or tablet in your classroom. A little over three weeks ago I received a phone call from Don Cantrell of the South Carolina Department of Education. He called to tell me the South Carolina Association of Education Technology (SCAET) had been trying to contact me since September to inform me that Bluffton Middle School's Computer Technology 6 course (which I had mainly written) had won the Technology Innovative Program Award. To make a long story short, our school's core technology team along with our principal were going to Myrtle Beach to attend the SC EdTech conference and accept the award. The use of mobile devices such as iOS and Android devices have basically taken education by surprise with the speed of adoption by the general public. It shouldn't have but it did. Now school districts are going to be in disarray in trying to justify the continuation of money spent on laptop carts, computer labs, and interactive whiteboards. Mobile devices are the wave of the future so teachers are going to have to learn to deal with it. Most of the sessions were about what apps teachers can use in the classroom. Apps are proliferating at an exponetial rate to even attempt to recommend certain apps to use. While a few apps seemed cute, teachers really need to know how to find and evaluate apps for themselves to determine what is best in the classroom. Also, teachers need to do a better job in keeping up with the latest technology developments. This leads to my next point. Unlike laptop carts, mobile devices such as iPads and other tablets, iPod Touches, iPhones and Android phones do not work well in a unified controlled system like computer do. Mobile devices are designed to be, well, mobile. This means each device needs to be tailored to the unique needs of the individual. This means more differentiation of instruction for teachers. However, learning how to use these individual apps will have to fall to the student because different mobile operating systems act in different ways. Even the apps in different OS's behave differently. For example, the experience in using Evernote is way different on an Android device verses a iOS device. Again, most of the technology demonstrated at EdTech this year is still fairly new. I have to give credit to all who bravely stood in front of groups to do the sessions. At least they tried. I do have to say the group presenting the creation of videos from the College of Charleston did the best job. The one thing I was looking for was how were devices integrated into the classroom. This group did that by explaining what the assignment was, how it was evaluated, and how they let students use the tools they thought would be the best to use. Why force someone to use Windows Movie Maker if the student has a Mac with iMovie. Better yet, if a student has an iOS device such as an iPhone should they not use iMovie for iOS or Splice? It is the finished product that counts. That is what I wanted to see. Even if you go to a bad session (and I went to a few) you can always get something from it. Even if it is not how to do certain practices. The college professor that led the Online and Hybrid course session did have some good insights on course management techniques that she learned the hard way. 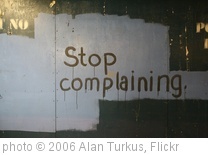 While I felt a few problems were self-inflicted, others are good to keep in mind. Wireless carriers are going to have to pitch in and help. I have seen AT&T and Sprint come up with management tools for wireless devices but they will have to come together and adopt a single standard if schools will have safe use of student-owned devices (BYOD). Both companies have told me they have solutions but they cannot be balkanized like the carriers themselves. SC EdTech is not usually a conference that showcases the latest technologies but there were a few nuggets that impressed me the most. Augmented Reality reading, vocabulary and writing aids. It was cool watching an alligator shake his head no when you asked him if he ate grass. 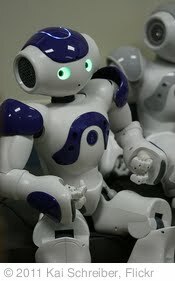 The latest in robotics programming that could tell a good story and dance up a storm. However, at $16,000 per unit for something I might could get at Target for $200 I will stick with Lego Mindstorm. Multi touch HD displays. I have been waiting on these for awhile and I hope my wait is almost over. This also spells the beginning of the end of Interactive Whiteboards as we know it. One technology that was not at EdTech but has been talked about, The ability to wirelessly mirror an iOS device to an Apple TV device. If the Apple TV was not HDMI only I would already have one in my room but there are alternatives. The bottom line is that South Carolina educators, like other educators across the country are trying to deal with game-changing advancement in technology. I feel the time has come for students to start ditching traditional textbooks and bring their own mobile devices to school Teachers are going to have to start planning on how they are going to incorporate these devices in their classrooms and telling students to put them away will not cut it. If those who attended SC EdTech this year were not happy with their experience they need to realize the conference was asking presenters and attendees to venture into a totally unfamiliar area. 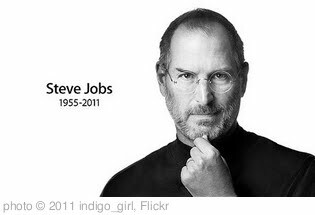 Like many in the world, I was saddened by the death of Steve Jobs this week. While many are going on about the contributions he made to computer and personal technology, I want to remember Steve Jobs for what he has done for me as both a person and a professional educator. No, I did not know Steve beyond what I have read about him. I did not have the pleasure or misfortune of meeting him personally and not really sure how such a meeting would have gone because I heard Jobs could be conceited and a bit of a jerk when he wanted to be. It was Steve Jobs' vision that has touched me. Steve Jobs had the ability to take the crazy ideas of Steve Wozniak and others and turn them into products that everyone wanted from the original Apple computer to the iPad. When I first put my hands on a computer in 1979, the machines were not nearly personal. They were too limited and too expensive to be in homes of ordianary people. Apple computers changed all that. While I never owned an Apple computer until recently, the computers I did own were certainly created because of the success of Apple in proving computers could help ordinary people. I have used computer technology all throughout my teaching career. It was Apple, again, that opened the door to what computers could do in the classroom. Now, I could not think of me walking into a classroom as a teacher or student without a computer to assist me. Lately, Apple again will change education technology by making tablets a portable computing device. I already have started using my tablet in my classroom and cannot think of teaching again without it. Soon, students will storm the gates of knowledge armed with their own tablets, smartphones, and other pocket-sized computing devices. This could be an exciting time in education as students learn to use their devices to write, read, research, photograph, video, draw, and be more creative in ways I cannot imagine now. The fact that I currently get paid to teach computer technology to middle school students can be owed to the vision of Steve Jobs. My personal life has been touched by the influence of Steve Jobs along with my professional one. I use devices whose creation was due to Steve Jobs' vision. Personal music players and smartphones are a constant companion whether I am driving around, walking or running, or doing other tasks. I listen to books, music, and podcasts to entertain and inform me while I do other things. Apps can track how far and fast (or slow in my case) I have gone. A library of books that would normally take up many shelves of space can fit into my pocket. Vast libraries of information at at my fingertips anytime of day or night. There have been many instances where I needed something and all I had to do was use my computer or phone to order the product I needed. If I need to get in touch with someone I can text, tweet, Facebook, talk, or video chat. As time goes on, I am sure I will be amazed at how Steve Jobs inspired devices will be more a part of my life. The passing of Steve Jobs made me pause to reflect on how much the man has directed my life. As time goes on people will realize how much Jobs has changed society much like Johannes Gutenberg did with the printing press. As he lay dying, John Adams said "Thomas Jefferson lives!" as his last tribute to a man who gave the United States its guiding principals. Today, Steve Jobs lives through the innovations he inspired. However, somewhere in the heavens Steve Jobs is addressing a group who helped shape the world over time, dressed in his trademark black turtleneck shirt and blue jeans. After he talks about all the things he has done he says "And one more thing, it is the iWorld and it is magical." Rest in Peace Steve Jobs. I recently switched from the iPhone 3GS to a Motorola Atrix. The decision did not come easily because I liked my iPhone. Yes, I said that about my Blackberry too when I went to the iPhone. I even told people that I was going to hold out for the iPhone 5 when it becomes available this coming summer but I allowed my son to talk me into trying an Android phone. When the Atrix was announced, I thought that would be the Android for me with the speed and the flexibility of the phone. So far I have not been disappointed and even surprised at how well I have liked the Android 2.2 platform. As for my iPhone? I now have a great iPod Touch with a camera and GPS that does a few things my Atrix does not. At least I have an old phone that still has some usefulness compared to others collecting dust in some drawer. This got me thinking, what do people do with their old smartphones? I know there are organizations that donate old phones to battered women, a very good cause. However, I have another idea. As users replace their Android and iPhones devices they should donate the old device to schools so children can have technology in their hands. the United States. This would be a good target demographic since it would cover middle and high school students. I am not going to try and see how many of these students, like my son, who already have an iPhone or Android phone. Next, I estimated the population of the United States which is an estimated 311 million people according to the Census Bureau. The percentage of Americans who have smartphones is 25% or 77.75 million people. Of this number, 24.26 million are Andriod users and 19.2 million are iPhone users for a total of 43.46 milliion users of the two brands and the numbers are raising daily. This means we could possibly give an estimated 87% of children age 12 to 17 a free computer that can access the Internet with a two year total refresh rate. Of course it is nice to play with theoretical statistics but what will people do with those old phones? Throw them away and pollute our environment? The reason I chose Android and iPhones is because of the number of applications available to each platform, many of which are free. Blackberry apps are too few and can be expensive relative to Android and Apple. While there are fans out there, we might as well say WebOS and Symbian are almost nonexistent. Also, support for charging and synching is easy too. Apple has used the same USB power cord format for all of it’s phones and Andriods use the mini-USB or now micro-USB connection. While school districts might want to employ technicians with smartphone skills, it might be easier to recycle and replace phones that are no longer serviceable. I would like to hear your thoughts of this plan so please comment below. There were four movies that stood out in my mind about education in 2010: Harry Potter and the Deathly Hallows Part 1, The Social Network, True Grit, and The King's Speech. These movies had a common theme that did not jump out until I started thinking about them as a whole. In each of these movies the main characters were able to do extraordinary achievements without the traditional education, credentials, or certifications one would expect of such people. Is our media sending out a signal that education as we know it is no longer necessay? Let me explain. True Grit: while Rooster Cogborn was a Federal Marshal, he did not have the benefit of law enforcement training. His skill came by experience and not all of it as a law abiding citizen. Marshal Cogburn could be forgiven since there was no such thing as law enforcement training just after the American Civil War. However, the character that impressed me was 15-year old Mattie Ross. This young lady, without a high school diploma much less a college degree, was able to skillfully negotiate business deals with more experienced adults and get what she wanted. Mattie probably would make Lawyer J. Noble Dagget squirm in a courtroom. Harry Potter and the Deathly Hallows: Harry, Hermione Granger, and Ron Weasley drop out of Hogwarts, believing the school could teach them nothing more about how to battle the evil Lord Voldermort. This would be like three 1940's teens dropping out of high school after their junior year to go fight Adolph Hitler and the Nazis on their own during World War II. Of course they had excellent role models in Fred and George Weasley who committed the greatest school prank in education history as they dropped out of Hogwarts to go into business in Diagon Alley. The Social Network: most people now know Mark Zuckerberg dropped out of Harvard to work on making Facebook the most popular social network in the Internet. There were two other characters in the movie who did not have the benefit of a college degree and did rather well. One was Bill Gates, another Harvard dropout who went on to build Microsoft into a dominate software company. The other character was Sean Parker who did not even darken the doors of a college (unless to party) but changed the music industry forever by creating Napster. Finally, The King's Speech: Lionel Logue was able to help King George VI's stuttering problem after other experts had failed. The problem was Logue was not an accredited speech therapist, a fact the King's advisors pointed out as they pressured the new king to drop Logue for "expert" speech therapists. Logue was an actor who got his start using acting techniques to help World War I veterans with Post Traumatic Stress Syndrome (then known as Shell Shock) speak again. No formal training, just techniques that worked from experience. It was those techniques that helped King George VI give a speech that rallied the British Empire during the dark days of World War II. Much has been said that there needs to be a fundamental shift in education, especially given the current economic conditions. I have heard the students who learn how to master the art of learning as they create new ideas will be the most successful in the future. It will be this type of student who will be able to work in the as yet unknown career fields traditional schools cannot foresee much less prepare for. There is so much knowledge available for free that, some say, colleges are not necessary. With movies like True Grit, Harry Potter and the Deathly Hallows, The Social Network, and The King's Speech is it possible that our media is preparing people for a change or is it reflecting changes already occurring? I read an article from Salon titled "How America will collapse (by 2025)" which the author, Alfred McCoy, tells of scenarios which lead to a rapid decline of American power replaced by China. The decline and fall of the United States as a dominate global power seems to be a forgone conclusion now. The United States' own government even marks the end at sometime in the middle of this century. This is not comforting if a government is predicting its own decline. The article goes through various scenarios which lead to a more rapid decline than others expect. These include a continued dependence on oil, costly military adventures which don't work, loss of technological leadership, and economic leadership. The bottom line is almost every scenario involves problems in our educational system that does not produce citizens that can meet the challenges the author presents. The first scenario is the loss of leadership in technological innovation. The article cites the fact that the United States is not producing enough adults with university degrees much less in science and engineering. This means countries like China and India will have an upper hand in technology innovation which will continue to fuel their economies as they roar past the United States. The second scenario is the United State's continued dependence on foreign oil. According to the article foreign oil accounts for over 66% of our energy consumed. If oil producing countries want to cripple the U.S. economy then all they need to do shut off our supply. This time, China will be very willing to purchase oil and play nice politically with oil-producing countries. Not enough effort is being placed to find energy alternatives that are cheap and renewable. Other countries are doing more than the U.S. in finding alternative energy sources. Whoever finds this first will dominate the world. After 9/11 finding renewable energy should have a Manahattan Project or Moon mission type of national urgency. Yet, we are not producing the scientists needed to undertake such a project. Finally, the author tells about how the U.S. military is becoming more reliant on unmanned, robotic or cyber weapons to overwhelm potential enemies with little cost in life. The problem is these weapon systems need to be invented, built, and protected by technology specialists our country is not producing in the education system. The result, China launches a massive cyberattack that renders our defense capabilities useless because of sub-standard computer systems and not enough experts in anti-cyberwarfare. The U.S. could lose a war in a matter of minutes. Throughout the history of the United States, the country has always prided itself for rising to meet the challenges other countries have thrown at it. Perhaps the dominate superpower is over relying on this ability when a crisis comes. However, a crisis must be met with decisiveness in a matter of seconds as opposed to months or years in the past. One thing the United States did have to meet its challenges is an educated workforce that could overcome any obstacle with creativity and determination. Does our educational system provide workers who could undertake the challenges like World War II or the race to the Moon? Would a cyberattack by China or anyone else be enough to wake the slumbering giant that crushed Germany and Japan? Would the giant be able to respond before it is too late or not at all? Can the United States place its national future in the hands of today's students given the state of education? Please let me know what you think. Last week I had the pleasure of presenting e-publishing to the Island Writers' Network of Hilton Head Island. While I resources were gathered since booking the engagement in the summer, I must admit I didn't put the presentation together until a week before the event. I was glad I waited! If I had done the work even a month ago I would have had to delete most of the work I had done and almost start over. The reason is e-publishing is evolving so fast it is leaving me in an almost state of shock. I know many who just love the feel of a traditional, paper-bound book but I also noticed the increasing number of people carrying e-readers. A couple of days ago a Facebook friend asked if she should buy a Kindle or a Nook. Local retailers are starting to carry up to five different e-readers. E-book sales are now overtaking hard copy books, something I thought would happened in another five years. Companies including Amazon, Barnes & Noble, Lulu, and Smashwords are making publishing to e-reader formats as easy as uploading a document to their websites. The companies do all the conversions and you just wait for the money to roll in from sales (well not that easy a task). This explosive growth in e-publishing should be great news for beleaguered students weighed down by heavy bookbags. Barnes & Noble just made things interesting by announcing the Nook Color. The latest Nook is a full color touch screen device that will run the Android operating system. Barnes & Noble says the Nook Color will be able to show videos and surf the Internet, what e-textbooks need to be effective. The $249 price tag makes it a compelling device to purchase over the iPad if all you want is an enhanced e-reader. A big drawback is users will not be able to add any Android apps but Barnes & Noble plans to offer their own app store. Even if the Nook Color does not fit the e-textbook bill it is a major step forward. With the rate e-readers are progressing, it won't be long before better devices will enter the market. Note to IT leaders: you better figure out how to integrate Android or iOS into your networks. It does not look like Microsoft is doing too much in the tablet and e-reader areas. Let me know what you think about e-readers. In the meantime I am going to curl up with my Nook and catch up on some reading. I watched an interesting movie on NBC titled The Jensen Project. The movie was about a family of geniuses in the near future who use their brains and technology to solve problems that could help the world. Some cynics probably claim The Jensen Project was a 120 minute commercial for producers Walmart and Proctor & Gamble. The brief scene in the beginning of the movie showed a classroom for high school students. This near future classroom was a dream come true. The teacher had a large-screen multitouch monitor. Each student had their own laptop computer. All devices were connected to share information with each other. This would be a classroom I would love to have and almost will have soon. Sounds great right? Guess what, compared with the technology portrayed in the rest if the movie, the classroom was still hopelessly antiquated. Computer stations had displays that popped up like a heads up display. Tablets were clear and had a similar display to computer terminals. The interface was a combination of touch and voice. Information was shared quickly by voice command. All the businesses had similar technologies i just described. Kinda made the technology back at school look like using old-fashioned slates. Looks like things in the future stay the same for education. If you saw The Jensen Project please share your thoughts about the technology portrayed. If you have not seen the movie you can run to your local Walmart and pick it up. Did not take long to get that video out. Also, this was an obvious pilot for a future series so we may see more. Quick, how many of you brought a television, VCR, DVD player, and/or computer from home to use in your classroom? Maybe you still do. Crafty teachers do all kinds of things to get equipment to help them do their job better even if it means spending their own money. One of the first DVD players I saw in the "wild" or outside a store was when a fellow teacher brought one in to show movie clips to her class. An announcement at a recent Tech Coach meeting about YouTube being throttled took me back to those times. Due to bandwidth restrictions, teachers will need to download YouTube videos at home then bring them to school. We have often discussed how our district's pipe of information is not as big as it should be and the YouTube announcement is another confirmation of this fact. Current economic conditions will not bring any relief to this problem soon. So what might happen? Teachers and students will start smuggling in their own Wi-Fi to use when school resources won't get the job done. This is not as far fetched as one might think. Wireless carrier Sprint is selling the Overdrive 3G/4G Mobile Hotspot which takes a high-speed wireless signal and converts it to a WiFi Signal computers, book readers, gaming devices, iPods, or any device that needs a Wi-Fi signal can use. Sprint's device is not the only mobile hotspot on the market either. The wireless industry would like to become regular Internet service providers and are working hard toward this goal. At last year's South Carolina EDTech conference, AT&T gave a demonstration on using iPhones in a variety of classroom activities. As wireless speeds increase and costs decrease (one can dream) teachers and eventually students will start bringing their personal Wi-Fi connections with them. This will put districts in a tough spot as pressure will grow to allow students to bring their own computers if districts are not willing to participate in one-to-one initiatives. Many districts have practically given up the battle of preventing students from bringing cell phones to school due to parental pressures regarding security and convenience. Imagine the school board meeting where a parent complains his/or child's computer was taken away because it accessed a wireless signal while doing schoolwork. Will it be worth the fight? Will this type of technology make cable connections obsolete? Is paying to put Wi-Fi hotspots in school buildings also a waste of money? Will schools allow students to use this technology or pay waste money on equipment to block the signals? Author's Note: It is illegal in the United States to block wireless signals. Will this help end the filtering debates and make CIPA irrelevant? While the above questions are excellent and need to be addressed soon. The wireless genie is out of the bottle and finding its way in devices such as the iPad, nook, Kindle, netbooks, and other devices schools desire. Do we continue to move forward or do we hold back? I would like to know your thoughts. It can be disheartening to read how budget cutbacks are affecting education overall. If you have not been hit with layoffs then you may be furloughed. While your job may be secure, you probably will have to make do with less materials and opportunities to help your students. One thing that has surely been cut down to nothing is field trips. In Beaufort County, South Carolina there are many historical places for teachers to take their students to learn about how our area was involved from colonization to post Civil War Reconstruction. No matter how many videos and photo slideshows you can show it is not the same as being there. Here is where one of the hottest trends in social media can possibly help out. In location-based social media, such as Foursquare or Gowalla, members check in at places they visit during the day. The person and location are shared with their friends on smartphone applications or Twitter or Facebook. Points are given for checking in with Foursquare which are tallied on scoreboard with your friends. With Gowalla, you may find certain items to collect or share. Using location-based social media teachers could setup field trips students can do themselves or with their families. Here are two examples of how this can work. We will use Foursquare in our first example. A teacher goes to each location he or she wishes to include in the field trip. The site can be registered if needed by the teacher if they have a smartphone such as the iPhone or Android phone. The teacher would enter a Tip about the place. This tip could be a bit of trivia about the place or an assessment question that can be answered by learning something during the visit. Teacher gives the list of places to students who writes up a report in a blog and sends back to the teacher who evaluates and grades the work. In our Gowalla example, our teacher could post a notes with questions about the sites students would visit. However, the neat thing is the teacher can actually create and post a "trip" which can be shared with other teachers along with the students. Students would blog answers to assessment questions found on the application for the teacher to grade. There are some downsides to these field trips. First not every student has a smartphone to use the applications. Next, not every student could possibly take these trips for whatever reason. That is why this could be part of an extra-credit or a choice for a student or team project. The upside is that you would have students taking charge of their learning as they go through a guided discovery process. Plus, these are activities entire families can engage in which is always nice and keeps them safe too. If you have a smartphone then download and register for one or both of these applications and see what you can do with it. Will April 3, 2010 be a date remembered in the history of education? The Apple iPad was released today and I got to take one for a test spin at my local Best Buy. I must admit it is an impressive device but is is it the holy grail of education technology?Only time will tell but I plan on waiting a generation or two before I invest in one. Also, Apple's competitors will respond with devices of their own. Prices will go down, displays will improve, and features will be added to tablet devices. 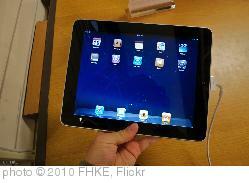 It is also possible the iPad will be another failed attempt at tablet computing. These questions that will be answered in the coming months or years. However, it is possible the day of students lugging textbook laden bookbags and having their own computing device may soon be over. Plans have leaked out that the South Carolina Governor will call for the replacement of state's public school teachers with robots. The Governor, who has few fans in education, will claim this will save the state billions of dollars in teacher salaries and benefits. The Governor further believes the robots will be better able to carry out instruction geared toward raising students scores on the PASS test which South Carolina uses to comply with No Child Left Behind. Also, the robots will not call in sick which will save the state further money since substitute teachers will also not be needed. The Governor further believes it would be cheaper to pay displaced teachers unemployment than give them their salaries. The robots replacing human teachers are a joint project from the Korean Institute of Science and Technology and the Nippon Institute of Technology. While the two Asian groups have not yet approved the use of the new robotic educators for their respective countries, the South Carolina Governor was anxious to cut the teachers and save the money. It is understood secret orders have been given to National Guard units to be on standby in case of civil disturbances by teachers.